wood chips, substrate and other (waste) bulk material. build to suit your requirements. 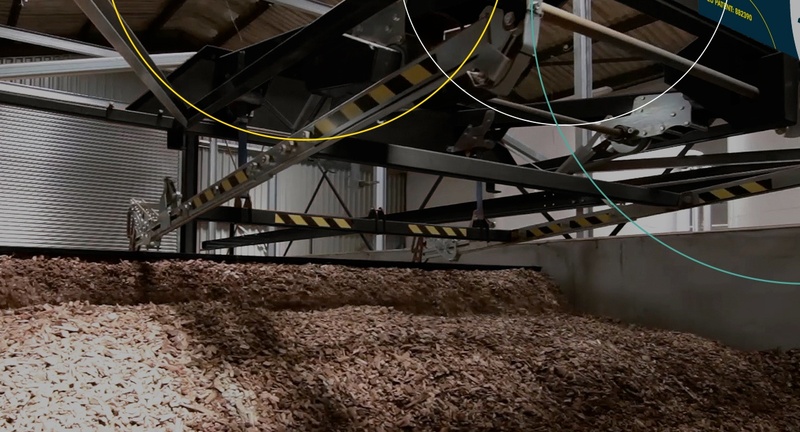 Javo Toploader: The robotic storage and delivery solution for bulk material. Experience its performance and be convinced. 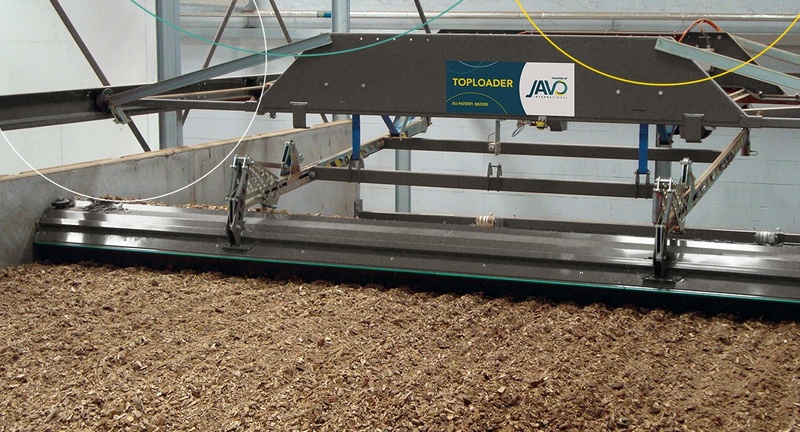 The capacity of the Javo Toploader is up to 25 cubic meters per hour (depending on model). The Javo Toploader uses 100% of the material. No waste material will be left. There is minimal loss of storage capacity, because the bunker can be loaded very efficiently inside its own rail system. The Javo Toploader is in continuous communication with its operator, your material supplier and even our engineers. The Javo Toploader is extremely efficient and consumes little energy. The Javo Toploader can be customized to virtually any width or length, depending on requirements and capacity. 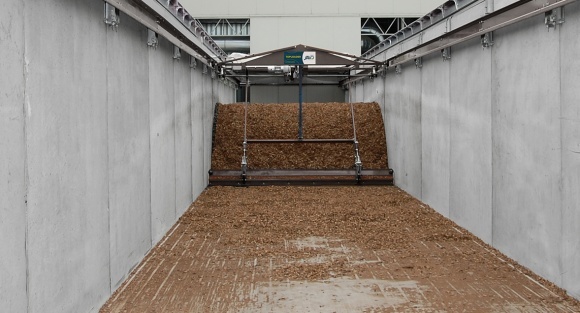 Almost every kind of bulk material can be placed inside the Javo Toploader, including wood chips, sand and waste material. The software allows for real-time remote monitoring and no wasted motion as it moves material. the installation stage and operationally. The Toploader is built at ground level so there is no need for underground work. Means no issues with ground water and a very simple installation. No need for expensive concrete construction allowing a rapid and low-cost installation. The moving parts are located above the biomass, which gives easy access to the Toploader for maintenance etc. Only driven by two 2,2 kW electric motors instead of ‘heavy’ hydraulic packs and cylinders. Almost all the maintenance can be done by the operator leading to low maintenance costs. The minimum wear of parts further reduces maintenance costs. 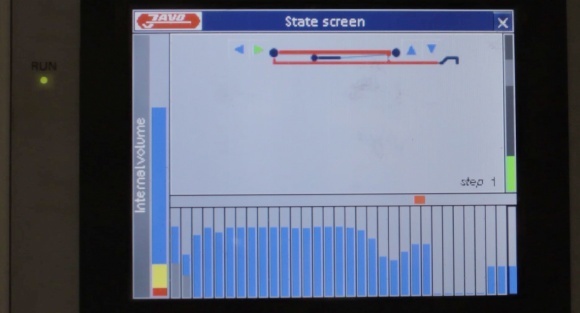 The Toploader touchscreen supplies useful information concerning the operation, the stock, almost empty signal, etc. This leaves you fully in control of the heating process. The system makes adjustments possible in all these features, improving the management possibilities of the whole heating process. The Toploader can easily be connected with a ‘home’ PC to receive operating information, allowing easy management from off site. Different widths and flexible lengths, two or more Toploaders next to each other. This makes a big storage capacity possible, as much as 3.000 m3 if required. The structure of the portal frame version not only provides cost-effective walls, but also enables a roof structure to be easily attached, protecting the energy in your fuel. Fuel Reception, Storage and Recovery all in one! Watch the demonstration video and be convinced of the Javo Toploader. Minimal ground preparation required before the Javo Toploader can be installed. Extremely versatile as the system can be mounted to existing construction or a new build to suit your requirements. The machine is secured on all sides. The Javo Toploader is easy to use and to maintain. It will prove its value immediately. are mounted away from the bulk material. Very low maintenance costs, because the unique, patented overhead rack-and-pinion drive keeps components away from the material. Watch the animation and see how this advanced construction works. Take a closer look at the Javo Toploader and see how this system works. The bunker can be loaded very efficiently inside its own rail system, which ensures minimum loss of storage capacity. Once that is done, and the area is secured, the system comes out and looks across the heap with a sonar to see how much material is in the hopper. Then it will start automatically moving the material to the front of the hopper. The patented scraping technique delivers the bulk material to a discharge conveyor. The fork is powered back and forth automatically and a smooth side wall of the machine prevent any remaining substrate remaining in the bunker. 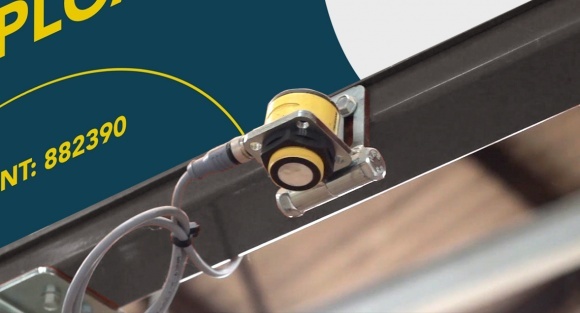 The spindle track and guide frame are constructed in combination and can be mounted to existing construction. It is always looking to maximize the storage area in the bunker as well. The Toploader is in continuous communication with its media necessities. The touch screen display shows the capacity in the hopper and how much is free and how much is full. All movements are PLC controlled and equipped with electronic speed control. All moving and electrical parts are mounted away from the bulk material, which makes it easy to reach for maintenance. The system is prompt and very reliable and is an easy system to use for the customer. To get more capacity you can easily have two or three systems next to each other. Nobody needs to be present for the system to run continuously. The Javo Toploader can be custom-fit to your capacity needs, with multiple widths and virtually unlimited length. An extra wide bunker is an easy way to obtain more result of your workspace. 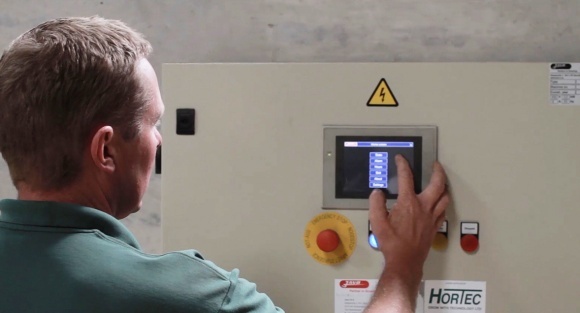 The machine automatically piles up the bulk material, to allow extra storage capacity in the bunker. The Javo Toploader is also available in stainless steel. For a long lasting live. When the frames are placed to the sides, there is no height restriction. Tipping lorries and front end loader can load the bunker without problems. An external VPN connection makes it possible to maintain the system without being nearby. When the bunker is almost empty you’ll get a warning signal per e-mail or SMS. This allows the systems to be in continuous operation. The Javo Toploader is available in every RAL-colour. So it can be installed in your corporate colours too. When the Javo Toploader breaks down, you’ll get a warning per e-mail or SMS, which means a minimum of down time and a user-friendly system. The Javo Toploader can be ordered with a different type of walls, depending on the material the Toploader needs to transport. It’s also possible to load the Javo Toploader from above. This means the system can be placed almost everywhere. The Javo Toploader comes in two models: Slim Line and Industrial Line. Both with their own dimensions, options and possibilities. Every version is adaptable and can be tailor made. The more you know about the Javo Toploader, the more you will be convinced of the quality of this high-class system. Almost every kind of bulk material can be placed inside the Javo Toploader, for example wood chips, bark and other biomass, agricultural and (waste) bulk material. 400V 50Hz / 220V 60Hz. By cooperating and combining our expertise, we are able to develop the best machines for your business. The cooperation between the different companies in the Nobels Group is decades old. 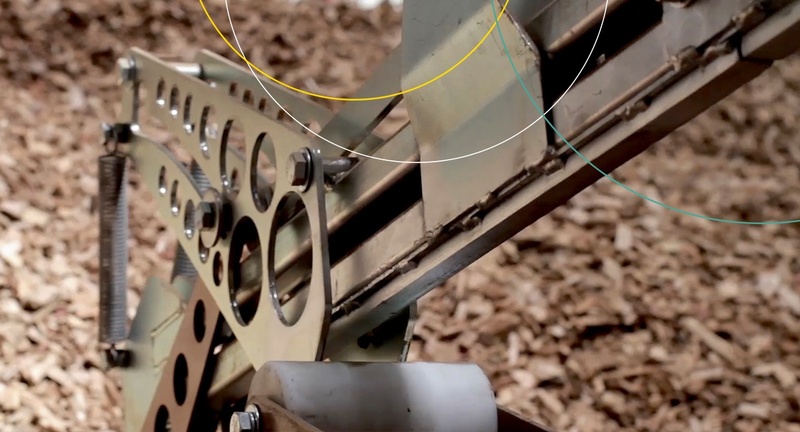 These companies combine to produce the most innovative solutions available for automation and robotics in the agricultural, horticultural and industrial markers. Nobels machinefabriek bv was founded in December 1955, by Mr. Arnold Van Nobelen. 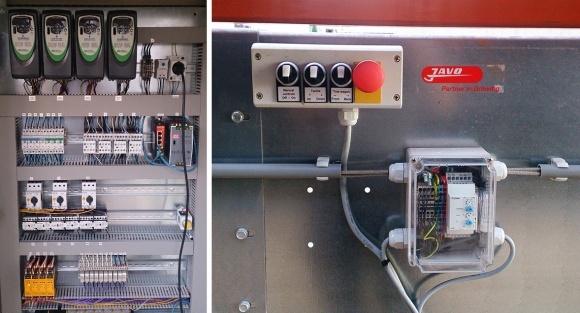 He started to develop a sorting machine for the agricultural industry from a 300 m2 greenhouse in Holland. Nobels produced the first prototypes of the planting and lifting machines in 1958. Three years after that, the greenhouse was getting too small and Nobels moved to a new building in the same village. It was at this time that Javo and Nobels began to work together, extending their production lines with agricultural and horticultural machinery. Nobels moved two more times, in 1975 and 1986, and is located in Katwijk, Holland. The factory has grown to 11,000 m2 and Javo BV was purchased by Nobels in 2000. Javo BV was founded in December 1947. The name JaVo is an abbreviation derived from the name of the founder: Jacques Vonk. Javo was a limited liability company until 1972, but in December of that year it became a private company. Although involved in other business pursuits, Javo was originally an export company dealing mainly in the exportation of fruits and vegetables. In 1966 Javo moved to Noordwijkerhout where it first settled in the Zeestraat; the following year, Javo produced its first machines. At this time the company became listed as a wholesale company, also involved in the import and export of horticultural machines. Because of its continued growth, Javo moved two more times within Noordwijkerhout before finally settling at the Westeinde. Currently Javo is the market leader in the area of potting and re-potting machines, robotic systems, and pot handling automation for the pro- duction and handling of potted plants, bedding plants and nursery stock. Agro Techniek Holland BV was founded in 1959, to be a company for the flower bulb branch. They produce and sell quality machinery to customers all over the world, built in their own factory and at Nobels machinefabriek bv. The program contains quality (trademark) machinery from New Holland, Nobels, Kawasaki and other machinery for the worldwide agriculture industry. Agro Techniek Holland also produces its own special ATH machinery that fits the needs of their agricultural customers. The cooperation with Nobels goes back to the start of Agro Techniek Holland, but the company is part of the Jano Holding since 2014.
well known machine in the Javo BV program for 15 years. But the system is also very successful in other branches than horticulture. That is why Javo International was founded in 2014, to focus on this machine for the worldwide markets. 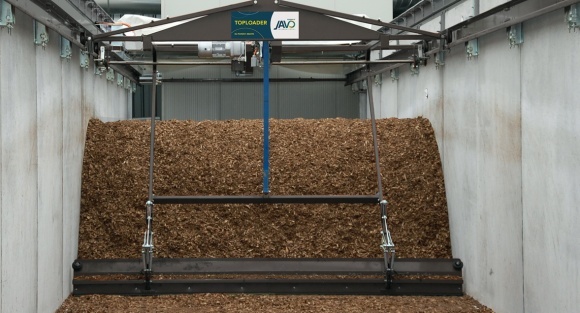 Together with the expertise of Javo BV and Nobels machinefabriek, the proven Javo Toploader is now successfully operating for the transportation of biomass and other bulk material. a first class after sales service. We have installed over 60 Javo Toploaders worldwide. Contact your local sales agent for more information. Do you want more information about the Javo Toploader or a request for quotation, please fill in the form below. Yes, keep me updated about the Javo Toploader. I’d like to receive the Javo International newsletter. Thank you for your interest in the Javo Toploader. Your sales agent will contact you as soon as possible.